Check out Emerson Cappuccino Coffee Espresso maker if you’ve just developed a love for espresso, and is looking into owning an espresso machine. Personally, I think you should definitely look at what Emerson is offering. 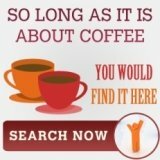 While Emerson is not as big and popular as other brands of espresso machines such as DeLonghi Coffee, it appeals to a specific group of people – those who are looking for an affordable, yet a great entry-level machine. Essentially, this is a coffee and espresso combination machine, which has a built-in frother for cappuccino and other milk-based espresso drinks. 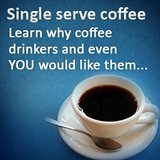 In other words, you can make espresso, cappuccino, and coffee with just one compact machine. First, it features a fully programmable 10-cup coffee maker. It has a built-in LED display and timer that allows the machine to brew coffee at a designated time. It also comes with a permanent mesh filter so you don’t need to worry about stocking up on disposable paper filters. The coffee maker features a pause-and-serve function, which allows you to pour a cup of coffee during the middle of the brewing process. It keeps coffee hot with a warming plate for 2 hours after it has finished brewing. It then conveniently shuts off automatically once it has been idle (and keeping your coffee at serving temperature) for two hours. 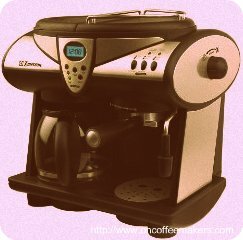 Second, it features a simple one-touch button for espresso, and a built-in steam nozzle to froth milk for cappuccino. Remember that this is an entry-level machine for those who want to learn how to make espresso. Therefore, this machine does not take advantage of espresso pods. Rather, when using this cappuccino coffee espresso maker, you have to use the traditional method of brewing espresso (grinding, tamping, and dosing). It comes with a portafilter, which you fill up with finely ground beans. 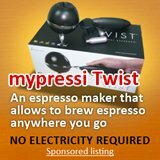 Despite being an entry-level espresso maker, it can generate 15 bars of pressure, which is comparable to the more expensive pump-driven espresso machines, allowing it to make a good shot of espresso with a decent amount of crema. This cappuccino coffee espresso maker from Emerson features a good sized water reservoir for making both coffee and espresso, so you don’t have to keep refilling it as often. Furthermore, despite only costing under $70, it is quite stylish since it boasts a brushed stainless steel construction with black accents. 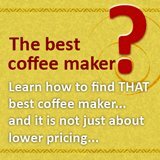 Therefore, if you’re looking into owning your first espresso machine at home, but hesitating to spend hundreds of dollars for a decent one, while not wanting to forsake your love for drip coffee at home, you should definitely check out this espresso cappuccino coffee maker from Emerson.